The Piano Guys – four talented dads from Utah – release their new album ‘So Far, So Good’ on Friday 2nd June 2017 – a special new collection of their signature sound on their most popular tracks from the past five years and including the single ‘It’s Gonna Be Okay’ where the guys team up for the first time ever with legendary pop singer, Cliff Richard. 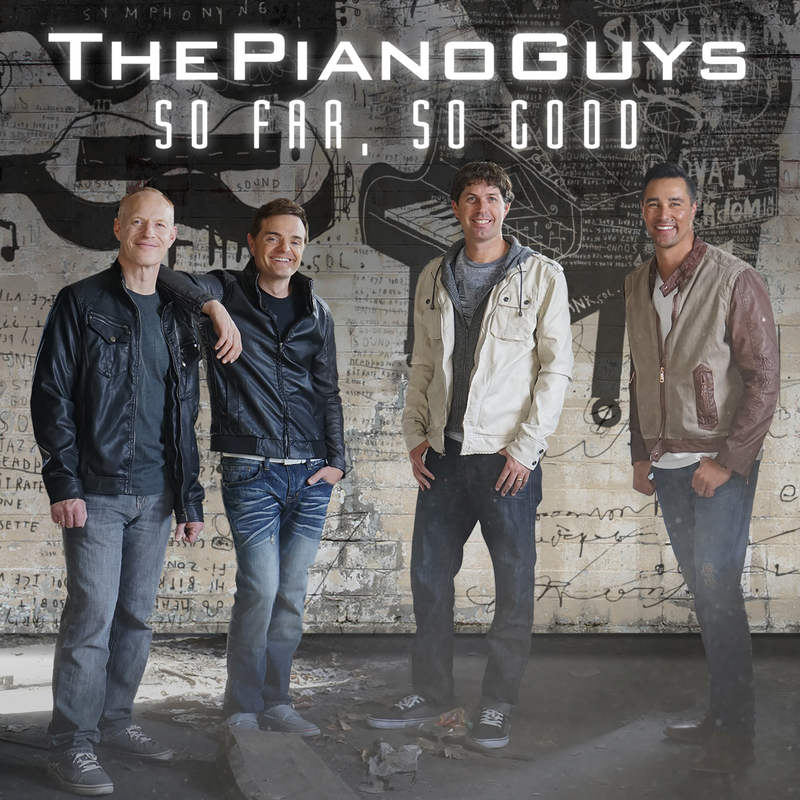 The Piano Guys – Steven Sharp Nelson (cello guy), Jon Schmidt (piano guy), Al van der Beek (producer guy) and Paul Anderson (videographer guy) – are an American musical group who became an online sensation through their immensely successful series of strikingly original self-made music videos, all directed by Paul Anderson. Since 2011, they have made over 50 music videos, including their breakout hit, an innovative multi-handed version of One Direction’s ‘What Makes You Beautiful’. This hugely successful and highly creative team specialises in pop/classical mash-ups and ‘So Far, So Good’ epitomises all that is good about them! They are the only group ever to have filmed a music video on the Great Wall of China; they have topped international charts; sold out concert halls all over the world and accrued a massive social media following. They have become superstars on YouTube with a massive viewership of 1 billion hits and over 5.2 million subscribe.